Nightlight has sponsored and welcomed over five hundred children during our twenty years of hosting (formerly known as orphan tours). These children have come from Russia, Ukraine, Kyrgyzstan, China and Colombia. Hosting remain the most effective means of finding loving parents for waiting children. More importantly, they raise awareness about the needs of orphaned children, and invite the children to experience the love of a host family. Another added benefit of hosting is the cross-cultural experience that the children and the host families gain, and the goodwill created between the two countries. 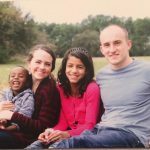 Hosting a child from an orphanage overseas is a rewarding and enlightening experience for everyone involved. Please consider participating in the Orphan Care Summer Tour program as a host family next year. To view profiles of the children in Colombia for our November hosting, go to Adoption Bridge, create a login and choose “hosting” as location. 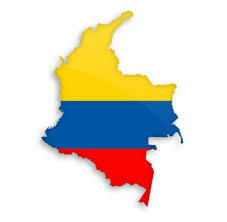 To apply for our Colombia hosting click here. Click here to complete your application for the November 2018 Colombia hosting. “A father to the fatherless, a defender of widows, is God in his holy dwelling” (Psalm 68:5, NIV).